Scientists have theorized for decades that an additional state of matter exists, but despite tantalizing hints to its presence, details about this mystery state have remained elusive—until now. A new paper in Nature Materials by researchers at Oak Ridge National Laboratory and the University of Cambridge details how physicists were finally able to catch a glimpse of the predicted quantum spin liquid, and the strange fermions that accompany it. Normally, electrons in a magnetic field will align themselves so that as the material’s temperature approaches absolute zero, the electron poles will eventually face the same direction. Quantum spin liquids throw all of that out the window with the presence of Majorana fermions, which occur when electrons in a quantum spin state literally break apart. This creates strange patterns so hard to predict that, until this experiment, scientists weren’t even sure just what those patterns might look like. So, just what can we do with this new quantum state of matter—besides start updating our textbooks? 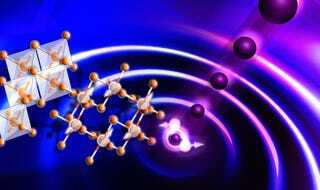 The researchers also say that the Majorana fermions could eventually have some major quantum computing applications although, at least for now, simply even managing to see them is still an incredible challenge.